Authentique Paper and Petaloo are teaming up over the next couple of days to bring you tons of inspiration using Authentique Paper and Petaloo products! When I finally decided that I was going to make a mini album for my project this week, I just knew it would come together beautifully! 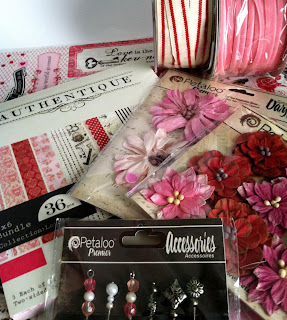 Authentique Paper + Petaloo products are a match made in Heaven! They are always so easy to match the colors up perfectly! With my project, I really wanted to show off one of our newest products, the Paper-Crafting Assortment kit! It is a new item with the "Lovely" collection, but since it's been such a big hit, it will also be available in upcoming collections. It's the perfect kit for any type of paper-crafting and is full of product to make several projects! I especially LOVE the die cuts! Every time I start a project, I always lay out my supplies so I don't have to go on a hunt for them in my craft room. It's always good to have everything the coordinates at hand, even if you don't use it. One batch of supplies that you will always find on my desk when I start a project are my inks from Imagine Crafts. I absolutely love their Fireworks sprays (especially when using flowers and ribbons that I want to color) and the little dew drops are perfect for distressing our papers, stickers, & die cuts. When I start my mini albums, I make sure that I pick an album that will fit the die cuts & embellishments that I am using. I am pretty attached to the Tiny Tabs album from Basically Bare. It is a great little size and makes a nice coffee table book. I always tinker around with the placement of items on my albums before I glue them down, but the cover is the real eye catcher, so I try to make it a little more over the top than the inside pages. Of coarse none of my albums wouldn't be complete without ribbons from May Arts & flowers from Petaloo! I love Petaloo flowers because they come in all sizes, the smaller ones are perfect for this size album. They are a nice simple embellishment that add a lot of dazzle to projects. For another chance to win, make sure you follow us on Instagram @authentiquepaper ! 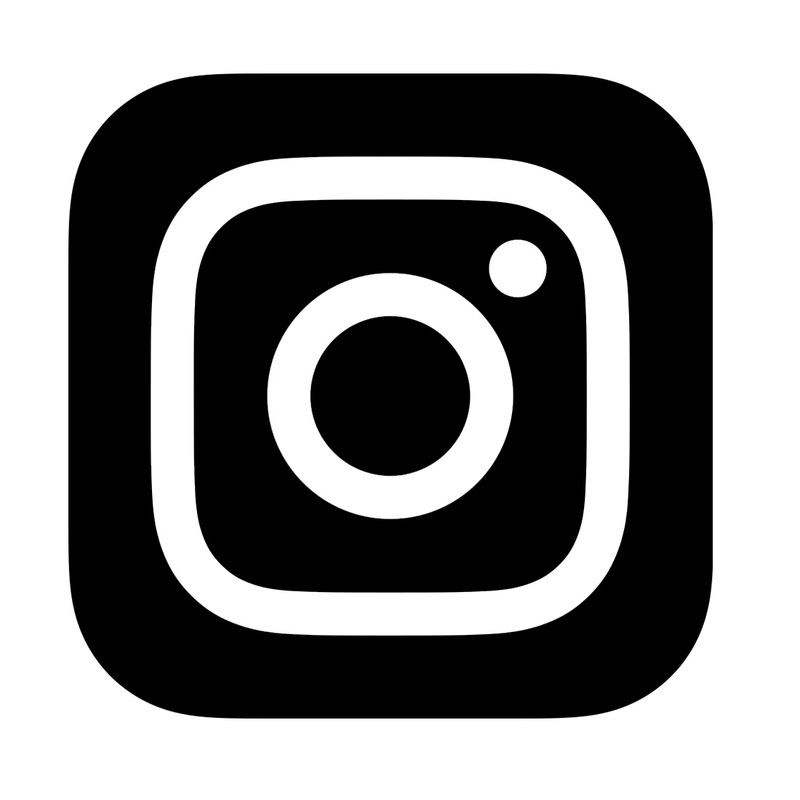 All you have to do is follow us and tag a friend under the giveaway prize pic! Also, make sure you stop and visit us as well as our friends over at Petaloo for prizes and lots of wonderful inspiration coming your way! 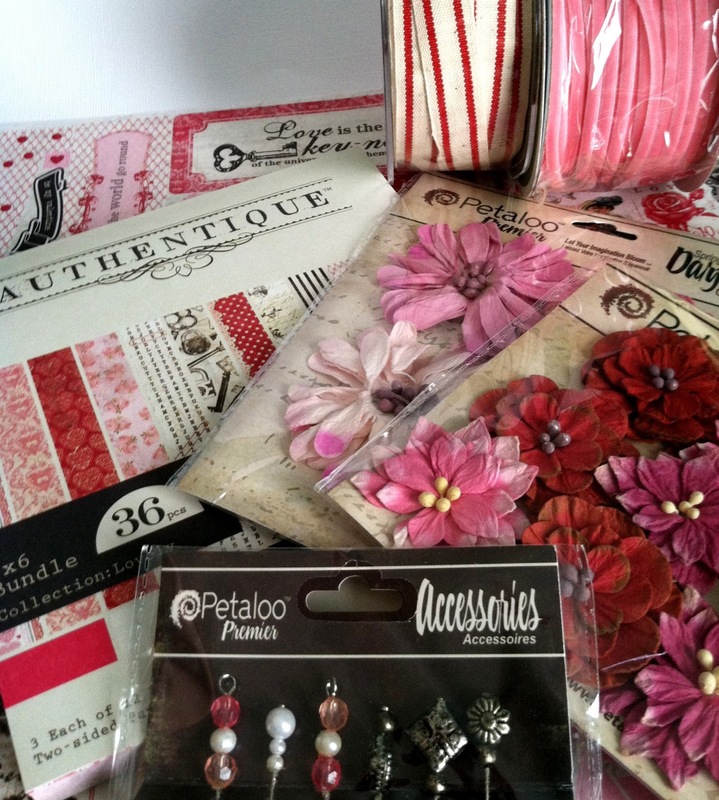 Also, make sure you stop by the Petaloo Facebook Page and tell them Authentique Paper sent you! Beautiful mini using Lovely and Petaloo. I am currently putting the finishing touches on a mini myself. They are so fun to make. Wow your mini in stunning. I love all the ribbon and flowers--so romantic! And that paper is a must-have as well. Beautiful. Oh how Gorgeous!!!!! Love your mini album and I love all the products you used. awesome job! Simply gorgeous...love the uniformity that you get with this paper! Emily, your book is lovely, and the Petaloo flowers seem made for this Authentique collection. I love your little organizing tips too! I think you've made crating mini albums look easy. Thanks! Wonderful album--I like the supplies you used. Simply 'Lovely' Emily! I made a mini using this collection for my LSS, and loved every minute I worked with this line! I am a vintage girl, so all of the vintage elements in this line are so wonderful! Very sweet - red, pink and black look so nice together! What a pretty layout! Love these papers and all the great details! Beautiful mini! Love the flowers and pearls!! Beautiful mini album. The Love bingo card is so adorable !! Love all the pretty Petaloo flowers and May Arts ribbon. TFS . Emily...this is more than "Lovely". and the tips you have shared are simply Authentique! 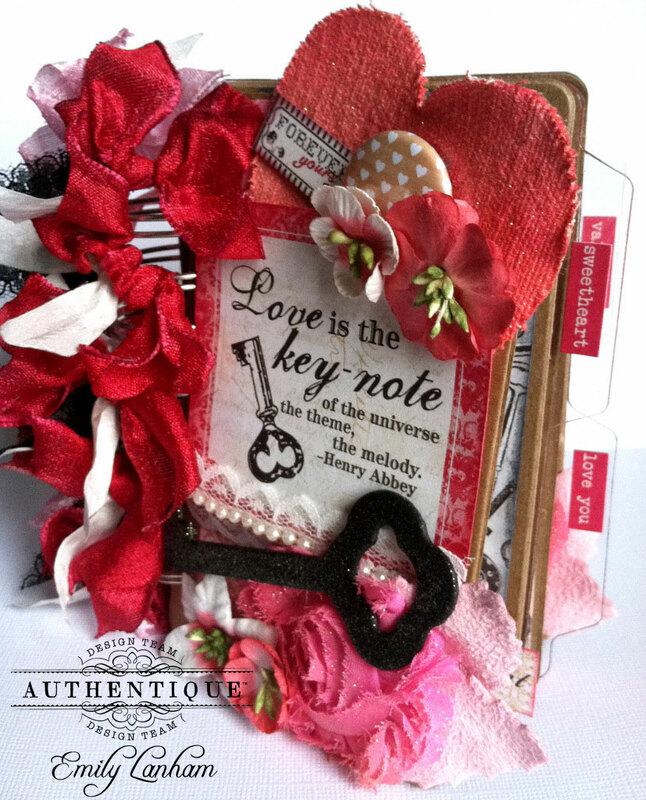 I LOVE the mini book---that would be a perfect valentine gift for your sweetheart!!!!!!!!! Oh wow!!! That album is soooo gorgeous. I think mini albums are my favorite thing to make. Obviously anything with flowers and bling will be super cute. Can't wait to see what else is in store this week!! I pinned, I followed, I already liked and I LOVE this album! I look forward to seeing what these 2 great companies have in store for us this week! Fantastic mini album for all the pictures of your Special loved ones! Beautiful paper collection with gorgeous flowers to match. Authentique and Petaloo really are a great match. I look forward to more inspiration with them both! Love the mini-album! Great design and great inspiration! Thanks for sharing...I can't wait to get started!! This is a gorgeous project Emily! Love all the layers, texture and of course the Petaloo flowers. Gorgeous, thank you for sharing yor art, its very inspiring! Oh my goodness Emily! This is so over-the-top fabulous! I love all of the pages! Lovely is one of my favorite collections (actually I think I say that about all of them when they first come out :) and I love how you have used the Petaloo flowers. That little tag book looks like something I need!! Thanks for the tips - I always get in the middle of something and then have to stop to look for something! I will definitely try your way from now on! Emily...you rock the mini's! This one is exceptional! Your mini album is fantastic. Those papers and flowers are beautiful and work perfectly together. You are correct, Authenique and Petaloo are a match made in Heaven. wow oh wow oh wow! This is just so so gorgeous! I would love to make something like this! Just beautiful! 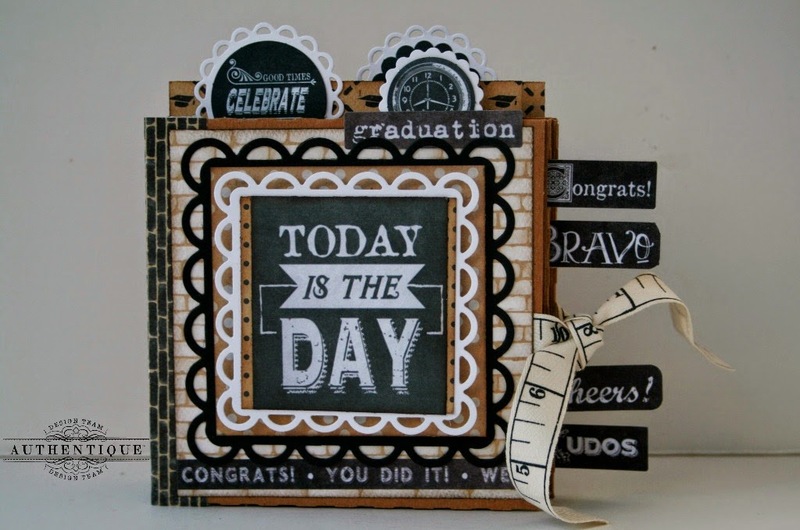 The Paper Crafting Collection kit with all the tags, notecards, papers and stickers all come together so beautifully! I am in love with your new kits! It is going to make creating so so easy! Now I need to find out who has them and get them before they sell out! truly beautiful mini today emily! love the red and pink. Your mini album is so 'Lovely'. You are right; everything goes together just right. I like the touch of black in the color scheme. Also, thank you for the reminder to have all my supplies out so I don't have to hunt for them. It does save so much time and you have more fun creating. So beautiful. Love all of the ribbons along the binding of the cover!!! such great coordination of supplies! Emily, this is just gorgeous! Love it and all the details you added to it. I love these papers you used for this album they are gorgeous! Love red!!! and Petaloo is the perfect match for everything! Are those stick pins i see in the bottom of one pick? Gorgeous album well done! TFS! Wow..this is just beautiful. I loved every page!! What a gorgeous mini. Your mini is just amazing! I really appreciate you including links to the products you used! Love this mini--big on love, yet small enough to carry around! Amazing Anthentique! What a beautiful collaboration of color and products! Wow, what a gorgeous mini album!! Love all the elements, ribbons and such you used.. every page is a delight!! Thanks for sharing it! The prize pack is very generous... crossing my fingers! The paper crafting kit is perfect for your mini. Very pretty. Simply SWEET mini!!! lots yummy goodies put together perfectly!! The album is beautiful. Using the Petaloo flowers makes any project special - they have such life-like flowers. The Authentique Paper and the flowers together make a wonderful project. Thank you for sharing your gorgeous album with us, Emily! The design, the layering, that COVER.....I would definitely have to reach for this album if I saw it on your coffee table! Thanks for some great inspiration! Beautiful album and beautiful paper. very pretty album. i have been telling myself no more paper but the more i see the projects done with this pretty paper i know i will end up buying it! thanks for sharing! Love your mini with the "over the top" cover design. That's what it's all about-flowers, ribbons and bling. It's perfect!! Inspirational! This is the only time of year I scrap in this color scheme. Your two companies are making it so easy and uniquely treasurable! Thank you! Absolutely gorgeous mini album. I think the saying 'pretty in pink' is totally applicable to it! Gorgeous album with beautiful pages. What a great combination of Petaloo and Authentic. Can't wait to get this paper collecfction and try something like this. Great job. Your album turned out beautifully. The flowers, bling and ribbons all work so well with the paper collection and will look gorgeous when you add your photos. I especially love that glittery key on the cover and all the ribbons on the binding -- they add such pop! Thanks for sharing. Wowzers! Beautiful album and lots of great details! I can't think of a better combo than Authentique and Petaloo. Off to check out the Petaloo blog too. Love is in the air!! This album is a great inspiration to me since I'm putting together an album of how my husband I met and the things we did together while we were dating. Thank You!! And, thank you so much for the offer to win that incredible prize pack!!! Great album Emily! I bet the recipient of such a gift would be thrilled. It's no secret that Authentique is my favorite paper company, the Petaloo and MayArts certainly set it off. This is my first time on your blog, great project! My scrappy friend JJ Sobey sent me :) I don't think I have ever used an Authentique product :O Love to try though! OOH! I love that gorgeous paper! And that is one sweet mini book! Authentique is one of my favorite brands, and I haven't seen anything else better this season! The price is great, and the inspiration as well. LOVE This album !! Beautiful ! What else would it be when it includes Authentique papers ! Adorable. These are so much fun to make and even more fun to gift to a loved one. The product pairing is seamless! What a gorgeous mini album!! I Petaloo-ve the album! Fantastic work!!! What an awesome mini! I've been on a mini kick and this is great inspiration! Thank you! Gorgeous!! I just learned about a new product, have never seen or heard of those paints you mentioned!! Gotta try, having seen the lovely effect. I love the way your mini album turned out, I wish I could make things that gorgeous. The bling and flowers were the perfect touches for the beautiful papers. Thanks so much for sharing. Awesome album!! I love this stack!! Wow...love the inspiration...to great companies! Thanks for the opportunity to win some awesome product to create greatness! The Mini Album is a wonderful project. I so like the fullness of the ribbons on the binding edge and the flowers on the front. All of the swirling bling on the inside pages make each page interesting. Very cool. There is so much detail in this album I think I would spend hours just taking it in. Beautiful. 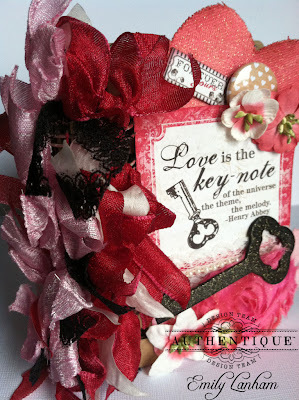 Just gorgeous and very vintage valentine! Love the frills and ribbon. Oh so girly! Love them all! The colors are amazing. I love Valentines themed things, and these are just great. Stunning! Just so pretty to look at ! Your album is absolutely lovely! I'm glad to see that you left enough room on the inside for photos! I love how you decorated the inside pages too. What amazing projects. love the papers and the colors. thanks for sharing. Just scored me some Authentic Valentine just today :) but I think ill need a little Petaloo to go with...can you hook a scrappin sista up??? Lol...that's my attempt at being " hip"...how did I do?! A beautiful album and since making mini albums are one of my favorite things to make I really appreciated the helpful tips you included. Gorgeous mini album-so love the colours. I somehow acquired a set of petaloo flowers a while back, and they are pretty, but the ones you have on the cover of your mini album are way cooler than the ones I have!! and those pearl swirls are lovely, I want them! I also, just discovered Authentique papers and am so excited that I have, they are amazing! I had to order some right away! I LOVE mini albums, flowers and Valentine's Day. My twin girls were born 12 years ago on Valentine's Day. These products are so cool and I sure would love to make something for my girls with it. Thanks for offering such great items to sell and win. Gorgeous mini album!! I'm so excited for Valentine's Day and this is such a fabulous inspirational project!! Thank you for sharing it! Wow this mini is amazing! Love Authentique and the new collections! Love the mini album, is beautiful. Thanks for the chance to win. Thanks for the great idea, all the inspiration and your kind generosity. The mini is gorgeous! I love all the embellies you used. 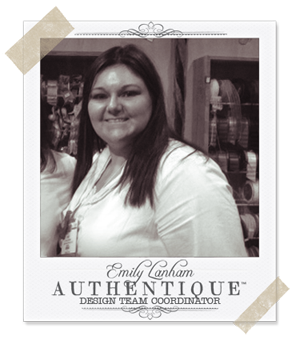 Emily, your albums are always "AUTHENTIQUELY AWESOME!" I love them. I bought the Valentine's Day kit too and am busy making a collection of cards to send off to my oldest daughter at school. She can then send them out to her friends. So happy to see that future kits will be made available! Petaloo sent me. Hot Diggity! I love all your Valentine colors! Beautiful album! Love all of the embellishments on the cover, but you really did a beautiful job on the inside pages as well. Thanks for sharing, and thanks for the chance to win! I'm not a fan of Valentines Day at this paper makes me want to be! It's gorgeous and the album that you did with it is fantastic! I would love to get a chance to win a prize pack. Thanks for giving us the chance. Frilly and lovely super job. So pretty, love all the details! Utterly lovely book! The spine is over the top fantastic! Man oh man (or rather "woman oh woman") do you have a lot of fans. I'm a newbie visiting you're blog. I initially started out at "oh my moxie fan" and in their spotlight article was a very interesting and talented woman. I loved her blog and sense of humor (she's battling cancer). I'm a cancer survivor, so of course I loved her. She listed your blog as one she regularly visits. I'm glad she mentioned it because I think you're work is amazing and I look forward, eagerly, to seeing what comes along next. I do believe I'll join you if that's ok? Have a great week with all your amazing products! A really nice looking mini album. I like all the ribbon that you used on the book. I love those Authentique papers as usual and yes the two companies together are a great combination. Super LOVELY!!! I haven't made a mini book in awhile but this makes me want to make one. You can never go wrong with Authentique Paper. LOVE IT ALL. Also love the flowers and pearls. SUPER LOVELY AGAIN. Love making mini albums and this is so cute plus you can never have enough flowers and ribbons. Thanks for the inspiration. LOVE your LOVELY mini album! LOVE all of the red! LOVE all of the embellies! Gorgeous! I really need to make a mini album sometime. Moving to Hawaii has taken a number on my craftiness, and as soon as we get a house out here, I should be back! Thank you for the inspiration, and I have always LOVED your paper! 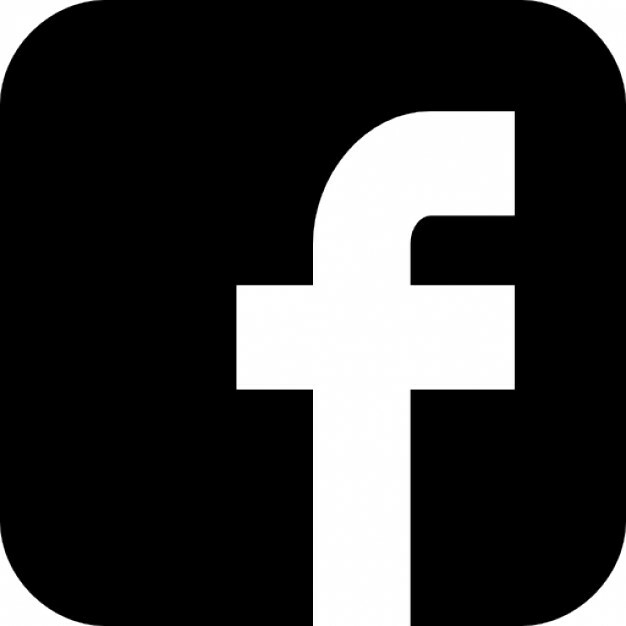 Facebook liked! Beautiful beautiful layout. Definitely will use in my project! thanx a lot for sharing! A gorgeous mini! The colors of the paper and the flowers go together perfectly.I like the smaller flowers also-I find them much easier to use. wonderful mini album. an early happy valentine's day to you! thank you for sharing. the flowers add a touch of 'now' to the vintagy looking paper (wich i like veeeery much). well done! there's no great valentines day tradition in germany, but i think, i will try to create something for valentine myself this year! thanks for the inspiration! This is ...fantastic!! What a wonderful album---very inspiring! I love mini albums and this one is no exception! So pretty! I am in love with this mini album! I love this paper collection & the Petaloo flowers are perfect for it. hi emily! wowww! what a stunning album! i would leave it on display and never put pictures in it!! What a beautiful mini album! Just gorgeous! I love seeing the two contrasting paper patterns side by side. Mini albums are my favorite. This one is gorgeous and perfect for a valentine's day present. I am totally in love with this album. So beautiful. The album is singing....."Your love is the key yo my heart!!!!" I love the album, and the paper is beautiful. Simply gorgeous, Em! I think this is my favorite mini of yours...well done! Who wouldn't like a mini album made from gorgeous papers and gorgeous flowers!!! I just love all the layers people are using lately. I'm having a hard time making myself put so much together! I want it to be over-done, but it's just not coming together. 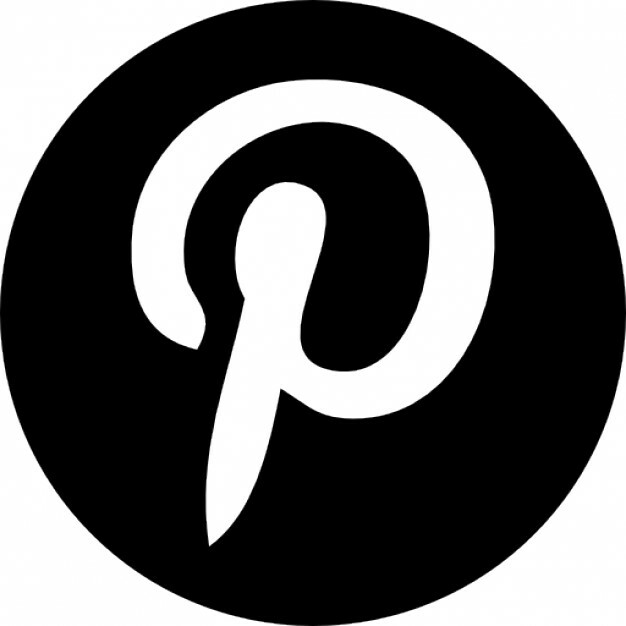 I hope after looking at these amazing projects I will have some inspiration! What beautiful paper this is, and I'm ready to start working on Valentines and this would be awesome to receive. I wish my mini albums were as great as this one! Great project! Thanks for the inspiration - scrummy!!! Gorgeous work. Thanks for sharing! Gorgeous projects!!! They really do make me want to go play with paper!!! What a beautiful Mini Album!! Seeing this makes me even more anxious to get my craft supplies unpacked so I can start creating again!! Thank you so much for sharing . This mini is amazing! So much beautiful detail in a tiny book!! Beautiful album! You did a wonderful job! And I agree...with the ribbons and flowers, the papers really become more beautiful! beautiful mini album. love all the textures, and bling flourishes. thank you for sharing and the chance to win. Wow, that is a loaded album! I love the bingo card in it so much. That is a beautiful mini! Love, love, love it! Beautiful mini-album! I do love the front cover but thank you for giving us a glimpse of all of the wonderful pages! Thanks for sharing. What an absolutely adorable and fantastic mini album! I just love it! I love all the different mediums used on the mini album! Its very stunning! Awesome mini today! Thanks for the inspiration.